It is necessary for all BBA (Bachelors of Business Students) to prepare an internship report at the end of this program. On the other hand internship is a course which is related to our course curriculum. As a student of BBA in American International University-Bangladesh (AIUB) my intention is to capture some theoretical concept and to know how implement this theoretical concept in our real life solution. Students are applying this concept in different organizations. AB bank limited has started its business with all the features of a corporate Bank and the products of both corporate and retail banking system; to facilitate the daily clientele requirements. ABBL is always try to improve their service in every sectors but in today’s comprehensive business world AB banks need to offer additional concentration to the clients requirement in order to stay in the top. In addition of all short of traditional banking activities, AB bank provides on-line banking service and a comprehensive range of financial service national and multinational companies in the country. It also undertakes the share and debentures, works as issue manager, and participates in other operations in MONAY MARKET and CAPITAL MARKAT. As a member of Dhaka stock exchange and Chittagong stock exchange. Today is the time of competition. As a business student I am very interested to know the business world. On the other hand foreign trade is one of the parts of business. 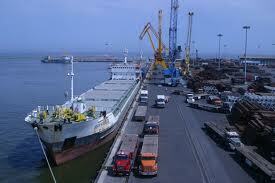 Foreign trade is divided in three categories like Import, Export and Remittance. 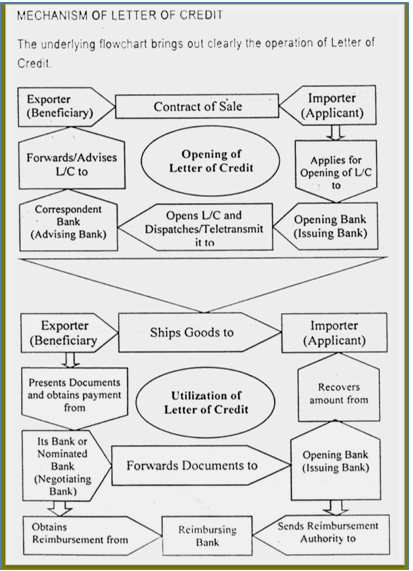 Import and export both are related to letter of credit (L/C). contracts.Safe mode of transaction; Lack of confident to provide the payment in due date; Effective payment of shipping goods and services. Foreign exchange transaction plays a vital role in the economic development of a nation. Foreign exchange transaction comprises both international trade & remittance. There are various rules and restrictions in international trade that means import and export transactions. To export or import any items the exporters or importers need financial support. The commercial banks of Bangladesh play an important role by providing them financial support through loan, various incentives and advising letter of credit. This paper empirically discuss with the rules, restrictions and procedures of foreign exchange transactions comprising LC advise, negotiation of documentary bills, repatriation of proceeds and its impact on profits. An easy and simple procedure of such transactions may help the exporters and importers to increase their business in future. The scope of the organizational part covers the organizational structure, background, vision, mission, objective, functions and rules, restrictions, procedures of foreign exchange transactions of the organization. The time preference of the study relates to the period covering the years 2005 to 2009. And also shown some analysis from 2008 to 2010 as a per month analysis & evaluation. All these years has been taken for different analysis purposes. Data processing has been done manually after checking and editing. For analyzing excel is used. Difficulties to communication and collect data. Difficulties to gather data in a specific way. Time constraints are one of the major problems/limitations to know the information. drawn, accepted, made or issued under clause (13), Article 16 of the Bangladesh Bank Order, 1972. All deposits, credits and balances payable in any foreign currency and draft, travelers cheque, letter of credit and bill of exchange expressed or drawn in Bangladeshi currency but payable in any foreign currencies. According to Dr. Paul Einzig, “Foreign exchange is the system or process of converting one national currency into another and transferring money from thecountry to another.” Foreign exchange deals with foreign trade and foreign currency. a) Bank provides service as an agent for the transa­ction and earns service charge, commission etc. b) Bank invests its fund for the purchase of foreign currencies and sale of such currencies on the basis of present transaction and may earn profit thereof. 1) Import Trade Control Schedule Numbers- For import purpose use of new ITC Numbers with at least six digits corresponding to the classification of goods as given in the Import Trade Control Schedule 1998, based on the Harmonized Commodity Description and Coding System shall be mandatory. 2) NOC on the basis of ROR (Right of Refusal): No objection Certificate on the basis of right of Refusal form any authority shall not be required for import of any freely importable item by any Public Sector Agency. However, in cases where a public sector agency is required to import banned or restricted items included in the control list prior permission of the Ministry of Commerce shall have to be obtained on the basis of ROR issued by the ministry of Industries or by the Sponsoring Ministry/Division or by both as the case may be. 4) Pre- Shipment Inspection: Unless otherwise specified pre-shipment inspection of imported goods shall not be obligatory in case of import be the private sector importers. 5) Shipment of Bangladesh Flag Vessels: Subject to waiver specified below shipment of goods shall normally be made on Bangladesh flag vessels. i. The Bank must have adequate manpower trained in Foreign Exchange. ii. Prospect to attract reasonable volume of Foreign Exchange business in the desired location. iii. The bank meticulously complies with the instruction of Bangladesh Bank. iv. The bank will commit to deal in Foreign Exchange within the limit & will submit periodical returns as instructed by Bangladesh Bank. i. Exchange of Foreign Currencies. ii. To make arrangement with Foreign Correspondent. iii. Buying & Selling Foreign currencies. v. Opening of L/C & Settlement of Payment. vi. Investment in Foreign Trade. vii. Opening & Maintenance of Accounts with Foreign Banks under intimation to Bangladesh Bank. PAD will debit because the bank will pay the money against some documents. AB General Account is a miscellaneous account. It will be credited because by this entry ABBL creates a liability. He has to pay the money to the advising bank. & the gain made by the transaction is shown at Exchange Gain Account. All this entries are made after receiving some documents from the exporters. The above procedure is called Lodging. After giving the above entry, ABBL will inform the clients for collecting the documents from the bank. 1) The Issuing Bank: This is the bank who issues Documentary credit on account of it’s client. 2) The advising Bank: This is a Bank acting as Agent of the Issuing Bank, to advise the L/C to the beneficiary. 3) The confirming Bank: This Bank gives the beneficiary a double assurance of payment. This is a third Bank undertake to make payment, to the beneficiary, if the Issuing Bank fail to make Payment. 4) Negotiating Bank: This Bank provides value to the beneficiary against presentation of documents complying credit terms. Usually this is exporter’s Bank who purchases the export documents. 5) Reimbursing Bank: This is a Bank acting as Agent of the Issuing Bank Authorised to make payment or to honour reimbursing claim of the Negotiating Bank. 6) The Transferring Bank: If the L/C is transferable then the 1st beneficiary through a bank nominated by the Issuing Bank this bank is called the Transferring Bank. 7) The Applicant: Importer or buyer is the applicant of a Letter of Credit. Applicant must be the client of the Issuing Bank. 8) The beneficiary: Exporter or Seller of the goods is the Beneficiary of a Letter of Credit. 9) Notify Party: The Party / Bank to whom the arrival of shipment has to be notified or to be informed is called notify party. VI. Membership certificate from Trade Association Certificate of incorporation, Article and Memorandum of Association. Partnership Deed for partnership firm. e) Income tax registration certificate. f) Partnership deed/certificate of registration with the register of join stock companies where applicable. 1) Applicant to be Bank’s A/C Holder: Bank will open the L/C on behalf of an entity who has an account with the Bank. Unknown person will not be allowed to open L/C. 2) Registered importer: Before opening the L/C bank must confirm that the L/C applicant is a registered importer or personal user, and the IRC of the importer has been renewed for the current year. 3) Permissible item: The item to be imported must be permissible and not banned item. If the item is from conditional list, the condition must fulfill to import the same. 4) Market Report: Bank will verify the marketability of the item & market price of the goods. Some times the importer may misappropriate the Bank’s money through over invoicing. 5) Sufficient Security or margin: Price of some items fluctuates frequently. In case of those items Bank will be more careful to take sufficient cash margin or other security. 6) Business Establishment: Bank should not open an L/C on be half of a floating businessman. The importer must have business establishment, particularly he must have business network for marketing the item to be imported. 7) Restricted Country: Goods not to be imported from Israil. 8) Credit report of the beneficiary: It the amount of L/C in one item exceeds TK. 5.00 lac, suppliers credit report is mandatory. Bank will collect credit report of the beneficiary through its correspondent in abroad. I. Indent / Performa invoice. II. Insurance cover note with money receipt. III. LCAF duly filled in & signed. IV. Membership certificate form chamber of commerce / Trade Association. V. Tax payment certificate / declaration. VIII. IRC, Pass book, Trade license Membership certificate & VAT, registration certificate in case of new client. IX. Export L/C in case of back-to-back L/C. 10) Permission From Ministry of Commerce: If the goods to be imported under CIF (cost insurance & freight), then permission form ministry of commerce to be obtained. 11) Creditability of the Client: In consideration of all the above points, if Bank become satisfied regarding the client then L/C may be ope3ned on behalf of the client. Before opening the L/C bank will issue & authenticate a set of LCAF in the name of the importer. Requesting the concerned bank (importer’s bank) to open an L/C on behalf of the importer favouring the exporter/seller/beneficiary. The issuing bank opens/issues the L/C in accordance with the instructions/request of the importer & request another bank(advising bank) located in sellers /exporter’s country to advice the L/C to the beneficiary. The issuing may also request the advising bank to confirm the credit, if necessary. The advising bank advises the seller that the L/C has been issued. As soon as the exporter /seller receives the L/C & is satisfied that he can meet L/C terms & conditions, he is in a position to make shipment of the goods. After making shipment of the goods in favour of the importer the exporter’s submit the documents to the negotiating bank for negotiation. – Selling goods to foreign countries against of foreign currency. – Export means lawfully carrying get of anything from one country to another country for sale. The import and export trade of the country is regulated by the IEC Act. 1950. 1) Application as per format prescribed by CCI & E.
3) Membership Certificate from a Chamber of Commerce. 5) Partnership deed (Registered / Un-Registered) for partnership business concern. 6) Memorandum & Articles of Association & its incorporation certificate for public limited company. 8) Recent passport size photographs of the applicant. 9) Treasury challan showing payment of fees for ERC. i. Export under L/C: Exporters are allowed to export the commodity under irrevocable L/C, under this type of export, exporter will ship the goods as per terms of the credit and will get payment as per arrangement of the credit. ii. A firm Contract/Consignment Basis Export: Exports are allowed against firm contract. As per contract, exporter will ship the goods and the buyer will make payment after selling the consignment. Back-to-back L/C is a secondary L/C (New Import L/C) opened by the seller’s bank based on the original L/C (Master L/C) to purchase the raw materials and accessories for manufacturing of the export product (s) required by the seller. Under the ‘Back to Back’ concept, the seller as the Beneficiary of the master L/C offer it as a ‘security’ to the advising Bank for the issuance of the second L/C. The beneficiary of the Back-to-Back L/C may be located inside or outside the original beneficiary’s country. In case of a Bark-to-Back L/C, the bank takes no cash security (margin). Bank liens the Master L/C and the drawn bill is an Usance/ Time bill. The other type of L/C facility offered by the bank is Export L/C. Bangladesh exports a large quantity of goods and services to foreign households. Readymade textile garments (both knitted and wove), jute, jute-made products, frozen shrimps, tea are the main goods that Bangladeshi exporters exports to foreign countries. Garments Sector Is the largest sector that exports the lion share of the country’s export. Bangladesh exports most of its ready-made garments products to USA and European Community (EC) countries. Bangladesh exports about 40% of its readymade garments products to USA. A. EXPORT REGISTRATION CERTIFICATE (ERC): The exports from Bangladesh are subject to export trade control exercised by the Ministry of Commerce through Chief Controller of Imports & Exports (CCI&E). No exporter is allowed to export any commodity permissible for export from Bangladesh unless he is registered with CCI&E and holds valid ERC. The ERC is required to be renewed every year. The ERC number is to be incorporated on EXP (Export) Forms and other documents connected with exports. xv. Sector (public or private) under which the exporter fails. C. SECURING THE ORDER: Upon registration, the exporter may proceed to secure the export order. Contracting the buyers directly through correspondence can do this. E. PROCURING THE MATERIALS: After making the deal and on having the L/C opened in his favour, the next step for the exporter is set about the task of procuring or manufacturing the contracted merchandise. F. REGISTRATION of SALE: This is needed when the proposed items to be exported are raw jute and jute-made goods. G. SHIPMENT OF GOODS: The following documents are normally involved at the stage of shipment: (a) EXP From, (b) photocopy of registration certificate, (c) photocopy of contract, (d) photocopy of the L/C, (e) customs copy of ERF Form for shipment of jute-made goods and EPC Form for raw jute, (f) freight certificate from the bank in case of payment of the freight if the port of lading is involved, (g) railway receipt, berg receipt or truck receipt, (h) shipping instructions, and (i) insurance policy. ii)Commercial Document : The documents evidencing description and other details of goods shipped and supporting other terms and condition of L/C Contract are commercial documents.